From time to time, you may feel like your heart “skips a beat.” In most cases, this is completely harmless. But for some people, this change in rhythm can cause symptoms that could be life-threatening. Heart arrhythmia is a disruption in your heart’s electrical system that causes your heart to beat too fast, too slow or irregularly. There are two categories for arrhythmias: tachycardia (your heart is beating too fast) and bradycardia (your heart is beating too slow). To diagnose an arrhythmia, your doctor may use one of many different tests that can detect the electrical activity of the heart. 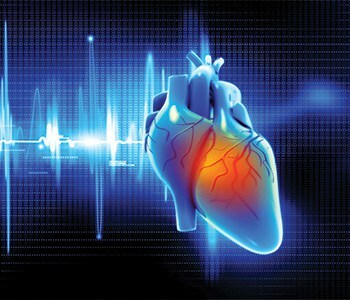 To treat it, doctors may prescribe medications or, in more serious cases, perform a procedure that will help restore your heart’s natural rhythm. Physicians at Saint Francis Medical Center use an important tool, the Philips EP Navigator, to help visualize the areas of the heart when diagnosing and treating heart arrhythmias. “It is important for us to identify the exact place where the electrical system has malfunctioned,” says William K. LaFoe, MD, FACC, FSCAI, interventional cardiologist, Saint Francis Medical Partner. Saint Francis also has access to the best practices for cardiac care through our affiliation with Cleveland Clinic, named U.S. News and World Report’s No. 1 heart program in 2016-17, for the 22nd consecutive year. Patients have the benefit of staying close to home for their heart care, while being treated by Saint Francis specialists who are collaborating with Cleveland Clinic, offering the highest level of cardiac care available in the country. For more information, call 573-331-3996 or visit the Saint Francis Heart Hospital webpage.